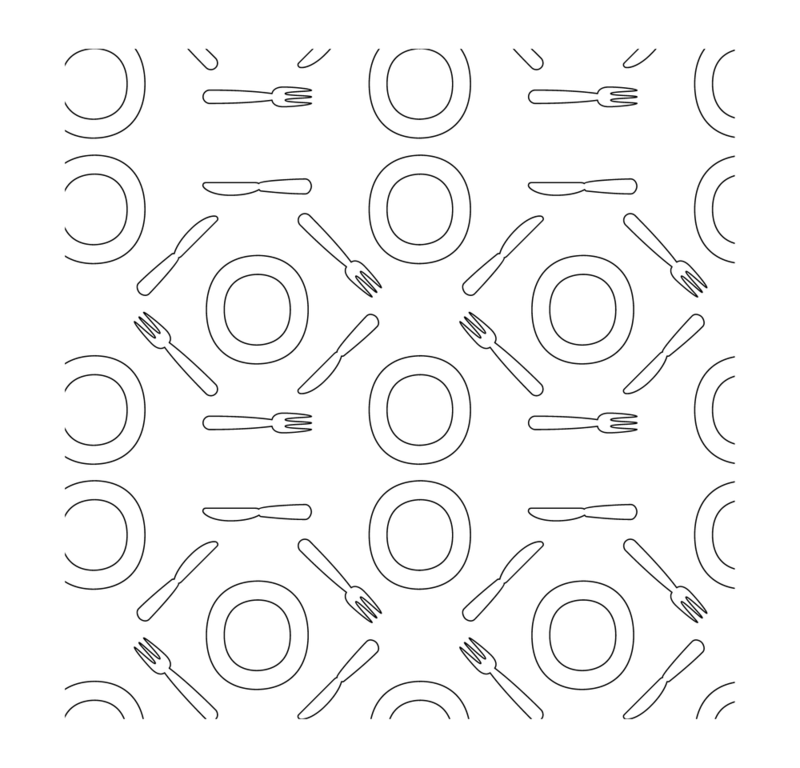 Project: Create a logo/identity for a recurring dinner party between friends. Goal: Create something lighthearted, fun, and eye-catching that makes people want to attend. I went with Value Serif for this project because I loved the soft and inviting nature of the font, as well as its casual qualities. I think it works very well in this context. I opted for something bold and eye catching here. This is a pattern created from the deconstructed illustration. I ended up using it in the background of all the collateral created. Several uses of the logo with the colors. 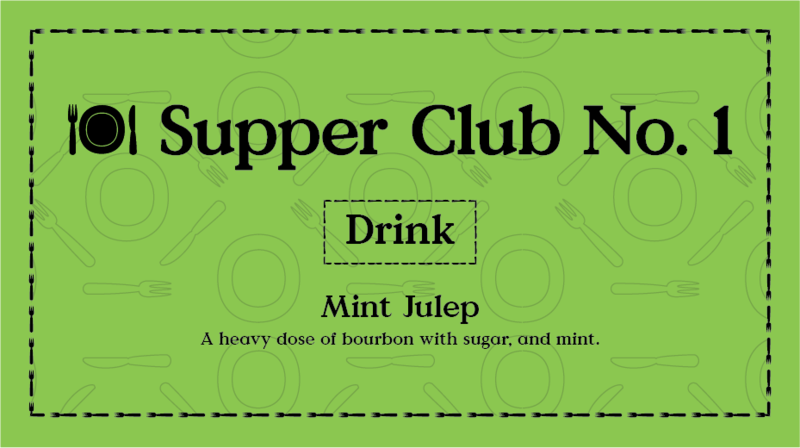 This is the final menu for the 1st Supper Club. I ended up also making a stroke brush of the illustration to use as a border to give it more character. Another menu item. There was only one drink option but I wanted to have a separate piece for this. Lastly, here is the invite. This shows the kind of casual copy and experience I wanted to create for this event.